Do you really understand what you've agreed to?! 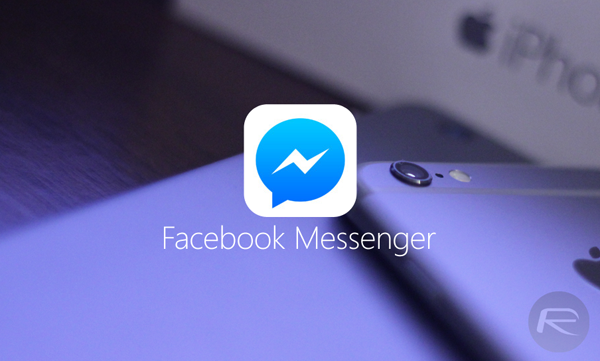 Facebook Messenger can make your phone send texts, take photos and record your voice (without asking you first). Yep, within the bulk of Terms and Conditions that you're required to agree to in order to use Facebook's flagship messaging service, are requirements that you allow the app access to your phone's camera, microphone and texting capabilities. Why on earth would Facebook want all of these invasive features? Well the answer is pretty simple - each feature is required for the app to work. The camera and microphone access are necessary for the apps photography and video features and voice recording is needed for audio. The SMS access is so the app can send you security codes to keep the app secure (which seems a lot less necessary than the other stuff but that's the official reason they give). While this all seems harmless on the surface and while we are certain Facebook is not meaning to start taking pictures of you without you knowing any time soon, what is scary is that an app, no matter how secure, has such open access to your phone. Sure, Facebook might not want to send texts from your phone, but what is a hacker managed to get into your app? Regardless of intentions, the app has free reign of your phone's most invasive recording abilities - but hey, no one would ever try and abuse them, right? Facebook, Instagram and Google can all use your photos without crediting you. This may be something you already knew (or assumed), but yes, when you sign up to Facebook, you give the site permission to use your photos without paying you royalties. You still own the rights to the photos, but you give Facebook the right to also freely use them as they wish - and to let them give other third parties the right to freely use them too. Other services like Instagram and Google also have similar clauses in their Terms and Conditions. Instagram even came under fire when it was revealed a few years back that the company intended to actively start selling users' photos for advertisers to use - they then backed down on this after massive public backlash. As with every item on this list, the company or companies in question will probably never exercise the rights that you have handed over to them - but they do have them. And if one day they wanted to start really using your photos for their own gain, the only method you would have to stop them would be to delete the photos from Facebook altogether (this is the only official way to take away their rights to your photos). Twitter knows more about you than it may seem. When you're using Twitter, it doesn't just know what you are doing, it also knows how you are doing it and also where you came from before you started doing it. Twitter tracks the website you were on before you opened Twitter (on desktop), it knows what browser you're using (Chrome for life) and it even knows what mobile carrier your phone is on. It's yet another case of agreeing to Terms and Conditions and opening a large swathe of information about yourself to the world. If an app seems to good to be true, it's because it's harvesting all your information. There are other valuables in this world besides money. The most potent of these is information - your information. Personal user information is incredibly valuable, as it is highly sought out by everyone from advertisers to manufacturers to political campaigns. If people know what you think and what you buy, then they are more able to go on to relieve you of your hard-earned cash. If an awesome app doesn't cost any money, it's likely because the actual cost of the app comes in the form of your personal information or freedoms. Take the photo app 'Meitu' which rose and fell in the space of days. Users fell in love with the free app ... before realising that its Terms and Conditions were truly wild. the ability to change audio settings. You need to be constantly afraid at all times cos everything in the world is out to get you. Have a great day!!! !